Caroline: You can’t go to Baltimore and not eat some Maryland crabs! 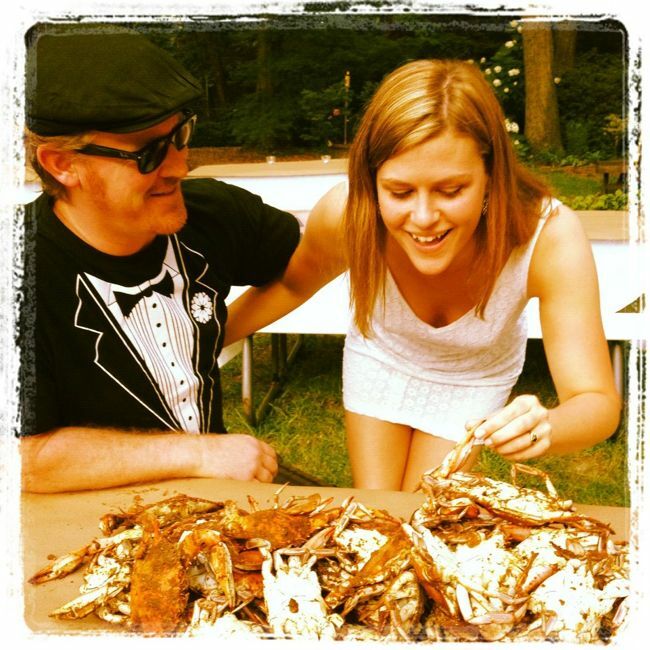 The day before the wedding we had everyone over for beer, BBQ and steamed old bay crabs! Oh the tastes of home! 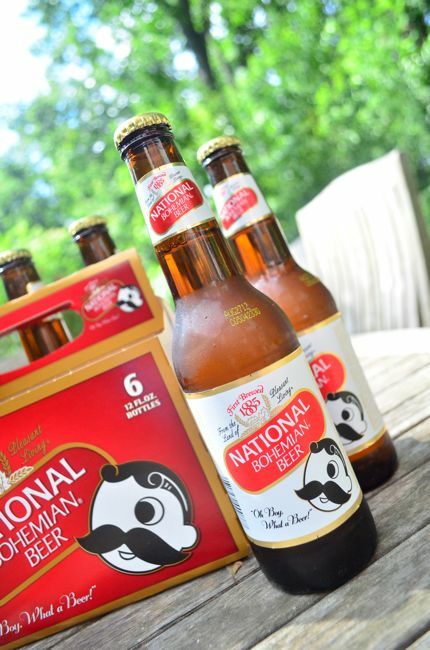 Kris: I can’t visit Baltimore without eating Maryland Crabs and drinking National Bohemian (Natty Bo). 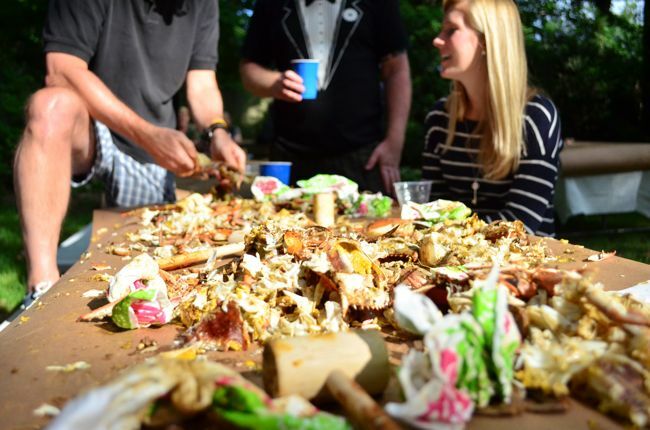 It was great to have a crab feast on the night before the wedding, especially for our friends and family visiting from Australia and New Zealand. 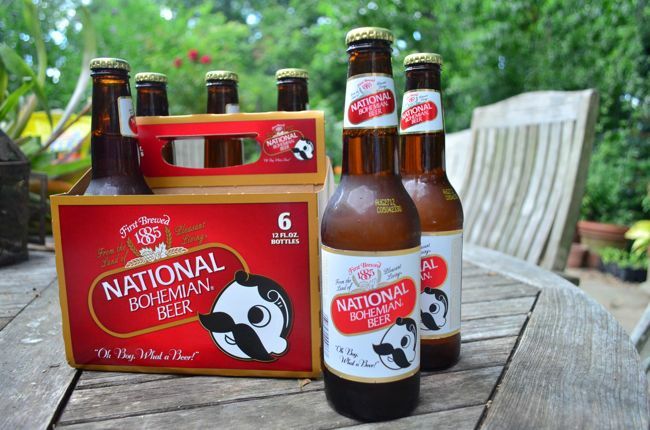 Kris: I am not usually a lager drinker, but I do love drinking Natty Bo when we are visiting Caroline’s family in Baltimore. 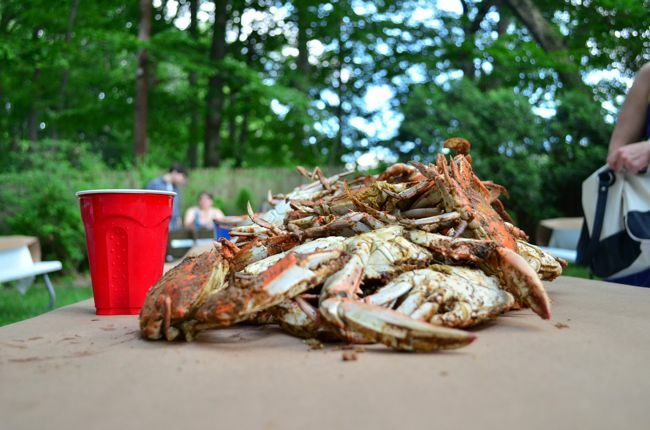 It is a clean, crisp, refreshing lager and is a great match to steamed Old Bay crabs. 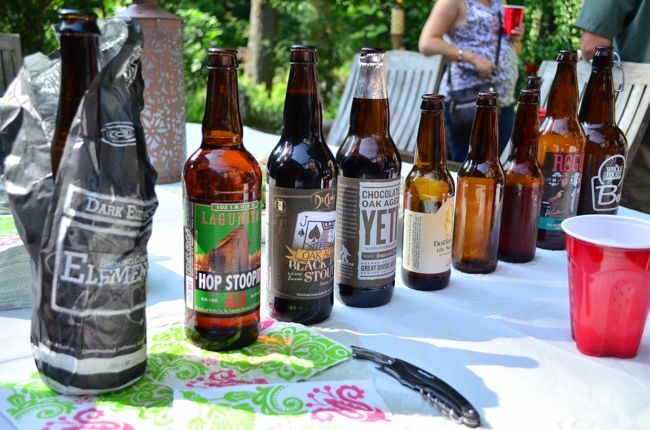 Kris: I thought it would be great to taste some interesting American craft beers on the afternoon too. My 2 favourites were the Great Divide Oak Aged Yeti and the Dog Fish Head 120 minute IPA. The Yeti is a rich Imperial stout with Chocolate, caramel and coffee characters with some piney/citrus hop aroma and a dry finish. It is also aged in Bourbon barrels which gives it a touch of oak and vanilla flavour. The 120 minute IPA is an extreme IPA! I have had the 60 minute and 90 minute IPA’s from Dog Fish Head before but this one takes it to the next level. A whopping 18% ABV, it is chock full of high Alpha hops. It is dry hopped for a month then aged a further month on whole hop cones. It is packed with sweet malt and huge aroma and flavours of the classic citrus and pine from the use of American hops. Definitely a beer to share with friends. 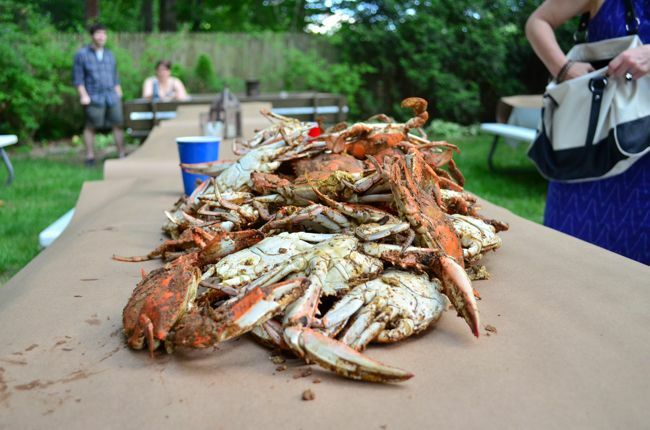 Caroline: The remnants of a Baltimore crab feast.There is nothing better than some fresh steamed Old Bay Crabs and Natty Bo’s shared with friends and family on a beautiful summers day. 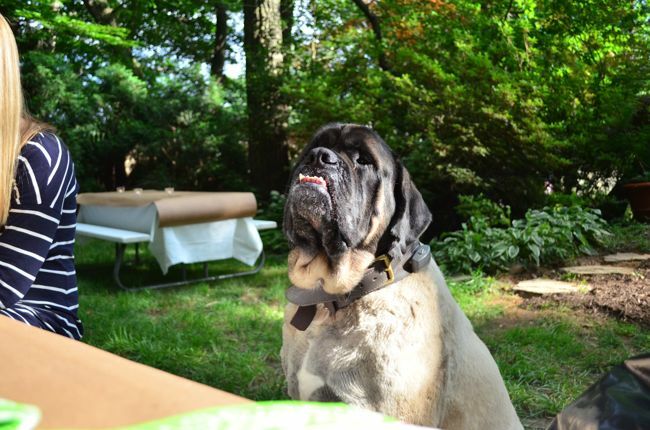 Even Winston enjoyed the afternoon.